Channel set diamond earrings in hoop design set with round brilliant cut diamonds. 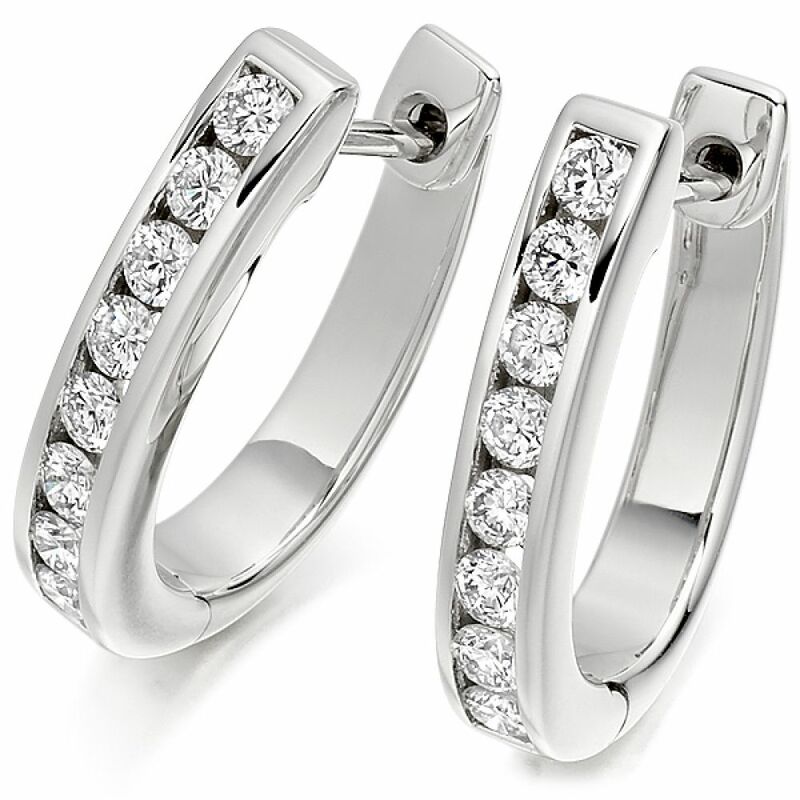 A pair of elegant, Round Brilliant cut Diamond hoop earrings that would compliment any outfit. The sixteen individual Diamonds have a total carat weight of 0.55 carats per pair and are expertly set within a channel setting. The hoop design rests gracefully upon the earlobe and allows the natural beauty of the VS1 Clarity, F Colour Diamonds to be exquisitely displayed. These meticulously finished earrings are available in 18 Carat White, Rose or Yellow Gold, 950 Palladium and 950 Platinum to suit your individual, personal preference. Each pair of earrings is crafted to order so please allow 4 weeks for delivery. They will then arrive at your door beautifully presented in our bespoke Serendipity packaging, ready to be enjoyed for a lifetime. EE207 - GER003. 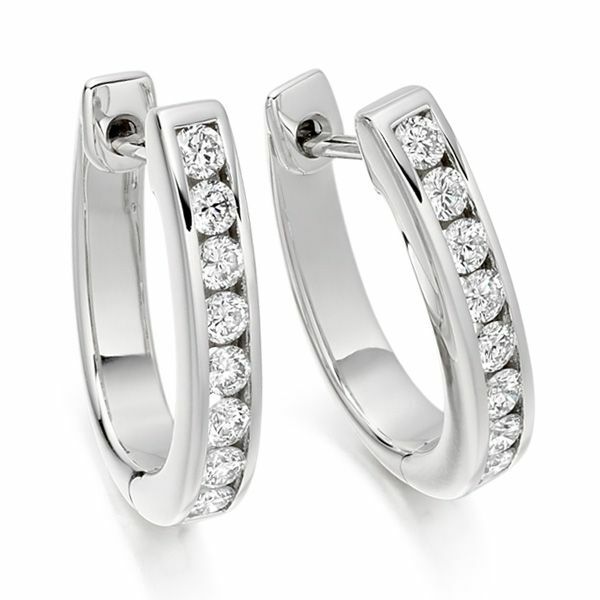 Diamond hoop earrings, created in Platinum. Service rating : The whole experience was flawless. No complaints and the one query I had was accurately answered.